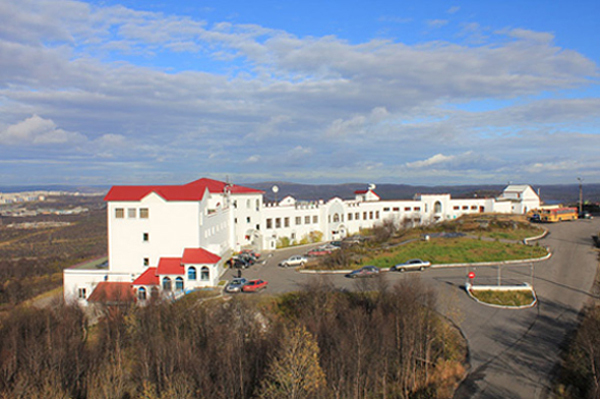 Location: The hotel is situated 6 km from Murmansk downtown in a quiet place on a hill and offers a beautiful view over Murmansk, especially in the Northern Lights. Hotel Facilities: Wi-Fi, aquapark, downhill centre, restaurant, bar, conference hall, parking lot. Rooms: 3 standard double rooms, 24 business double rooms, 4 junior suites, 2 suites, 2 suites with a sauna, 1 VIP suite, 1 Royal VIP suite.